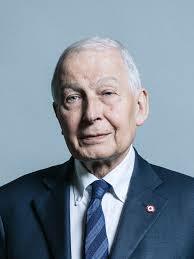 British Labour MP Frank Field quit the party’s whip on Thursday over the ongoing antisemitism crisis surrounding its far-left leader, Jeremy Corbyn. “It saddens me to say that we are increasingly seen as a racist party,” Field said. ‘The Jewish community in this country is desperately worried’ – Frank Field has spoken to Sky News after he resigned the Labour whip, accusing the party leadership of becoming “a force for anti-Semitism in British politics”.